Electronics-Salon 200W 5 OHM High Power Wirewound Potentiometer, Rheostat, Variable Resistor. Electronics-Salon 200W 20 OHM High Power Wirewound Potentiometer, Rheostat, Variable Resistor. Electronics-Salon 10 Ohm 50W 50 Watts High Power Wirewound Potentiometer, Rheostat, Variable Resistor. 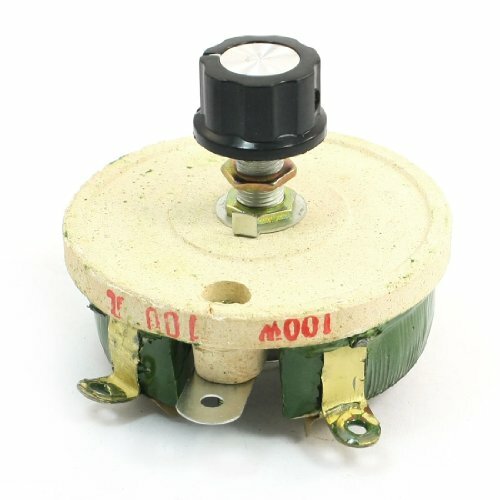 5 ohm 200 Watts High Power Ceramic Wirewound Potentiometer / Rheostat. Size: A=105mm, B=53mm, F=118mm, L=24 +/-1mm. 20 ohm 200 Watts High Power Ceramic Wirewound Potentiometer / Rheostat. Control the electrical resistance of a circuit without interrupting the flow of current. 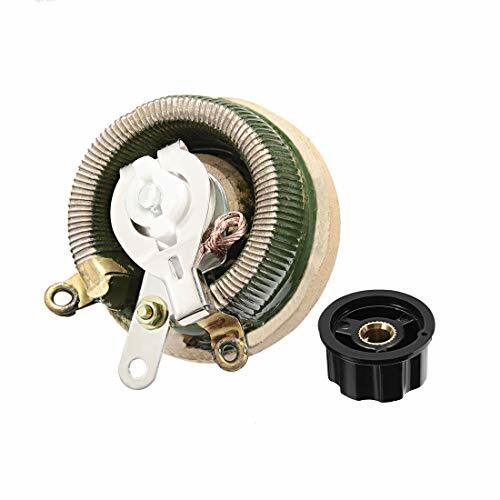 The rheostat is consisted of ceramic core and a resistive wire wrapped to form a toroid coil with a wiper. Widely used in blenders, mixers, fans, power tools, educational modeling, load simulations, industrial machinery RPM adjustment, voltage and current adjustment, instruments, and automated control installations, etc. Control the electrical resistance of a circuit without interrupting the flow of current. 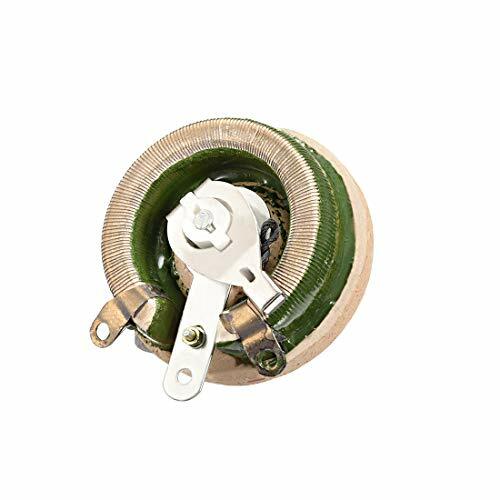 The rheostat is consisted of ceramic core and a resistive wire wrapped to form a toroid coil with a wiper axle. Can be used widely as light dimmers and motor speed control, is applicable for arc lamps, pumps, fans and blowers, respirators and model trains or other applications that require high voltage and current. 10 ohm 50 Watts High Power Ceramic Wirewound Potentiometer / Rheostat. Size: A=63mm, B=40mm, F=71mm, L=24 +/-1mm, Shaft Diameter 6mm. DOUBLE CHECK YOUR OHMS ON THE SIDE OF CERAMIC ON YOUR RHEOSTAT. This one is 14 ohms. Ships from High Speed Engineering Dallas Oregon BRAND NEW! Miller Welder Rheostat, 150 Watt, 14 OHM, 207177 200657 233060 Bobcat 225 225NT 250 250FE 250NT Bobcat 3 phase. Features with 200W rated power, 100 Ohm resistance, tubular shaped body, variable resistors with one adjustable band. Metal wire is wound on the ceramic tube coated with non-flammable material, good dissipation, high stability and long life. 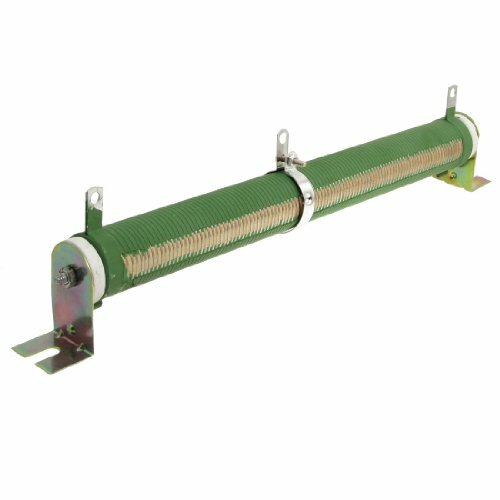 The wirewound resistor can be widely used in power supply, transducer, elevator, arena audio and high requirement equipment industry. 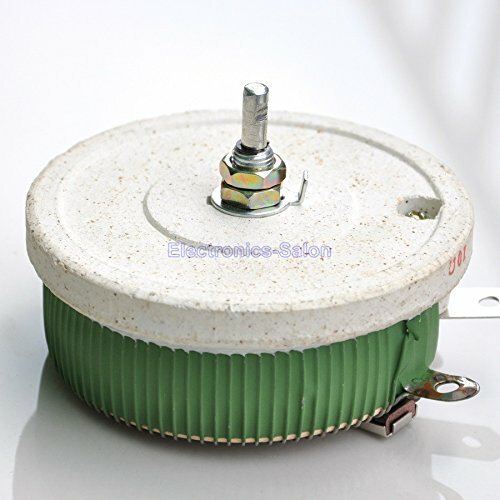 Electronics-Salon 25W 100 OHM High Power Wirewound Potentiometer, Rheostat, Variable Resistor. 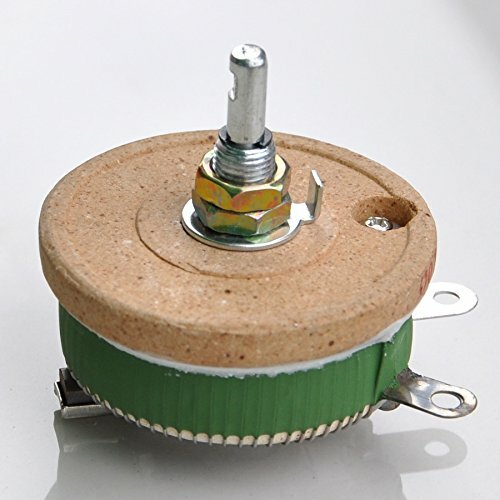 100 ohm 25 Watts High Power Ceramic Wirewound Potentiometer / Rheostat. Size: A=43mm, B=40mm, F=50mm, L=24 +/-1mm. 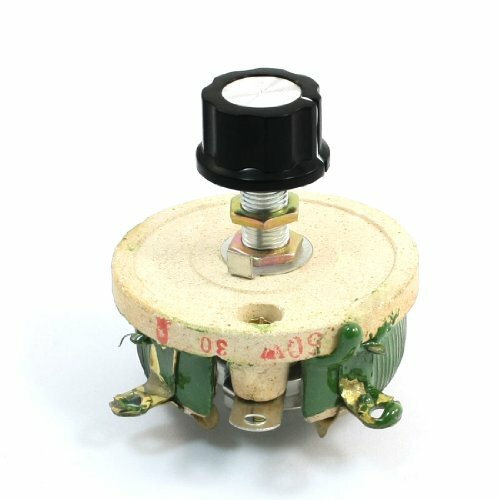 50 ohm 25 Watts High Power Ceramic Wirewound Potentiometer / Rheostat. Electronics-Salon 200W 50 OHM High Power Wirewound Potentiometer, Rheostat, Variable Resistor. 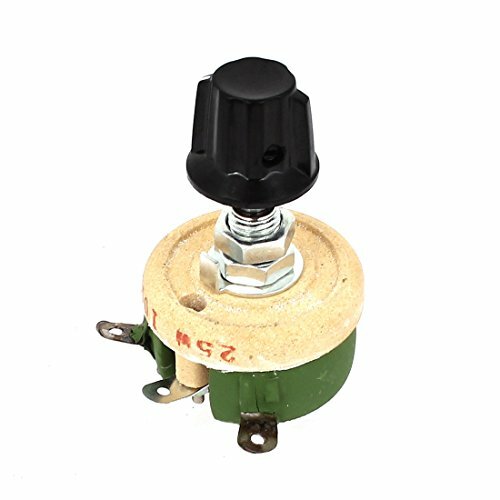 50 ohm 200 Watts High Power Ceramic Wirewound Potentiometer / Rheostat. 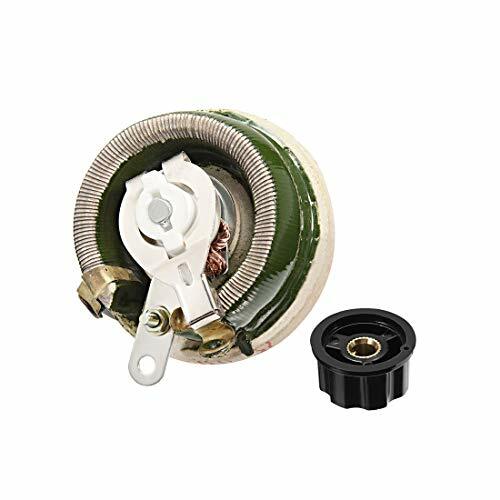 Electronics-Salon 25W 200 OHM High Power Wirewound Potentiometer, Rheostat, Variable Resistor. 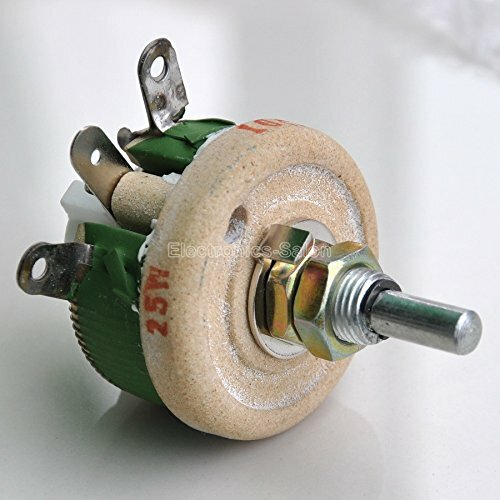 200 ohm 25 Watts High Power Ceramic Wirewound Potentiometer / Rheostat. Control the electrical resistance of a circuit without interrupting the flow of current. The rheostat is consisted of ceramic core and a resistive wire wrapped to form a toroid coil with a wiper axle. Can be used widely as light dimmers and motor speed control, is applicable for arc lamps, pumps, fans and blowers, respirators, model trains or other applications that require high voltage and current.